This weekend marked the beginning of the Western Water Polo Association Championships. 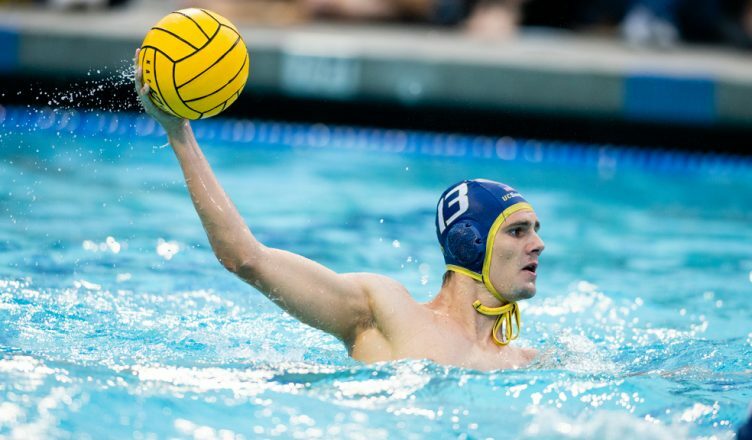 In the final game of conference action for the season, the UC San Diego men’s water polo team hopes to spark a long playoff run. The first-place team in this tournament receives an automatic bid to the NCAA Men’s Water Polo Championships. Coming into the tournament seeded No. 1, expectations for the Tritons are high. In the first two rounds of the tournament, the Tritons pancaked their opponents, winning 11–4 against Fresno Pacific University and 15–3 against United States Air Force Academy. UCSD has won the tournament six times since entering the conference in 2000. The team’s last first-place title was in 2015. This Sunday, the No. 1-ranked UCSD will face off against long-time conference rival, the No. 2-ranked UC Davis Aggies. The Tritons have faced UC Davis in the final round of this tournament four times over the past four years. This postseason rivalry is tied 2–2. UC Davis has had more recent success, winning in 2016 and 2017, while UCSD has not won since 2015. In the regular season this year, the Tritons took on the Aggies twice, winning one game 10–8 and losing the other 11–12. Throughout the season, UCSD has had a tendency to blow out bad teams. When faced with comparable competition, however, the games became a lot tighter for the Tritons. UCSD was defeated by a close margin in five of its losses this season, losing four games by 1 point and one game by 3 points. The final game for the WWPA Championships is on Sunday, Nov. 18 in Fresno, California at the Clovis West Olympic Swim Complex. In a game that will likely be close, UCSD needs to play an aggressive but foul-free game. In a tight game, fouls could make the difference. In the team’s last game against UC Davis (the last game of the regular season), UCSD won the foul game, playing 44.4 percent of the game one man up, and was able to score five times. In a game that could start or end a team’s postseason hopes, emotions will be running high. In UCSD’s last game against the Aggies, four exclusions (two on UCSD) were for a “minor act of misconduct” (which includes actions such as shoving, taunting, or commenting to the referees). These types of fouls are inexcusable. Not only do they provide an opportunity for the opponent to score and also carry the potential of a suspension, but also they have no benefit to the team responsible. To have a better chance of winning, the Tritons must focus on the game and keep a cool head. If UCSD wins in the final round, it will immediately qualify for the NCAA Championships, which will be taking place over the next two weekends in Stanford at the Avery Aquatic Center.